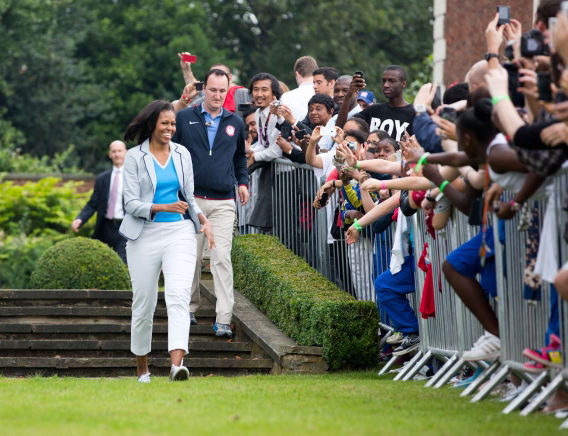 Michelle Obama has been one of the most supportive American fans in London. 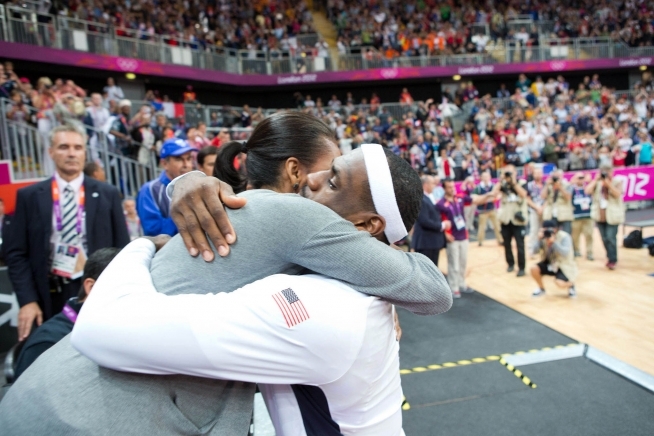 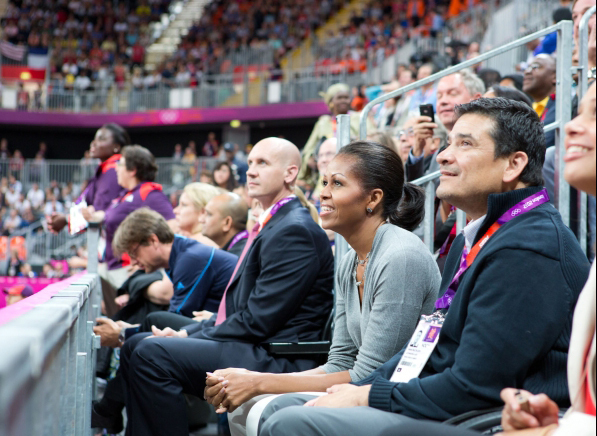 USA's First Lady leads the Presidential Delegation to the 2012 Olympic Games in London and not only attended the Opening Ceremony but also has been attending the Olympic competitions, such as basketball, swimming and the Olympic Tennis event. 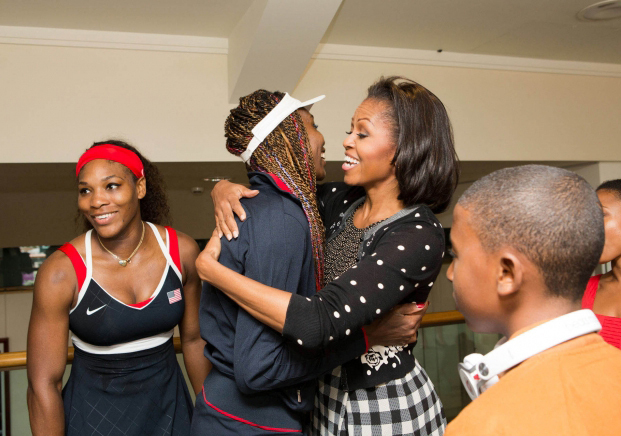 Michelle Obama was at the All England Tennis Club at Wimbledon to watch Serena Williams first round match against Jelena Jankovic, and met with the Williams sisters after the game. 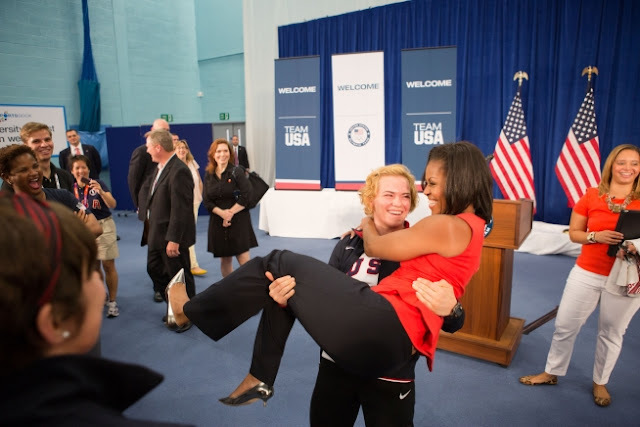 According to the White House official website, Michelle Obama is in London to meet and support the U.S. athletes competing in the games and will also attend several activities to encourage children to be active in their daily lives.